Best trips outside of Paris for a few days - Follow the INSIDR experts! If you need useful tips on traveling in and out of Paris via public transport, don’t forget to get our 2019 INSIDR Paris Transportation Free Travel Guide! When visiting Paris for a long time, you may fancy a couple of days out of Paris to see some of the wonderful places that are close but not close enough to visit in just one day. Read part one of our suggestions for places you can visit in one day and read further to find out to the best trips that can take up to a couple of days from Paris as well as where to stay and how to get there. The Loire Valley offers some of the most stunning views, cities and towns that France has to offer. Visit-able by train or car, it has lots of great thing to do and see. You can book your journey to travel to these incredible places in the Loire Valley through the SNCF website or buy your tickets at the train station in Paris. This is home to the beautiful Château du Clos Lucé which is a small château famous for being the official residence of Leonardo da Vinci between 1516 and 1519, and where he died. 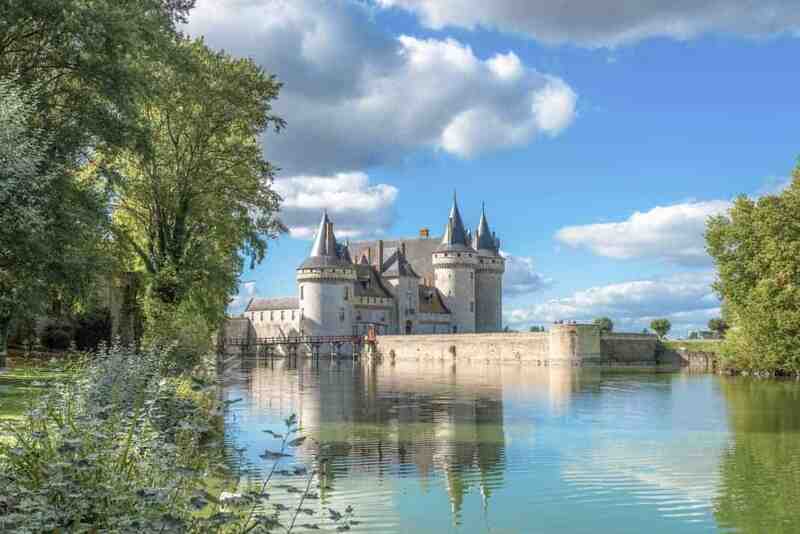 15 minutes walk away on the banks of the river Loire, the 18th-century hotel is alongside the medieval castle of Château Royal d’Amboise, where Leonardo da Vinci is buried. It’s a great place to stay during your time in Amboise and features an incredible restaurant. Another great place to eat nearby is at an acclaimed fine-dining restaurant in the Château de Pray! Blois is a hillside city on the Loire River which is the capital of the region. The late Gothic Blois Cathedral towers over its cobbled city center. Nearby is the Château Royal de Blois, a former palace it features incredible royal chambers, and many paintings and sculptures from the 16th–19th centuries. A great place to check out is the fantastic Château de Chambord is one of the most recognisable châteaux in the world because of its very distinctive French Renaissance architecture, you can find out more about it on their website. Tours is a university town on the Loire river and a traditional gateway for exploring the chateaux of the area. It’s town hall and train station were built by Victor Laloux who was a very famous French architect. 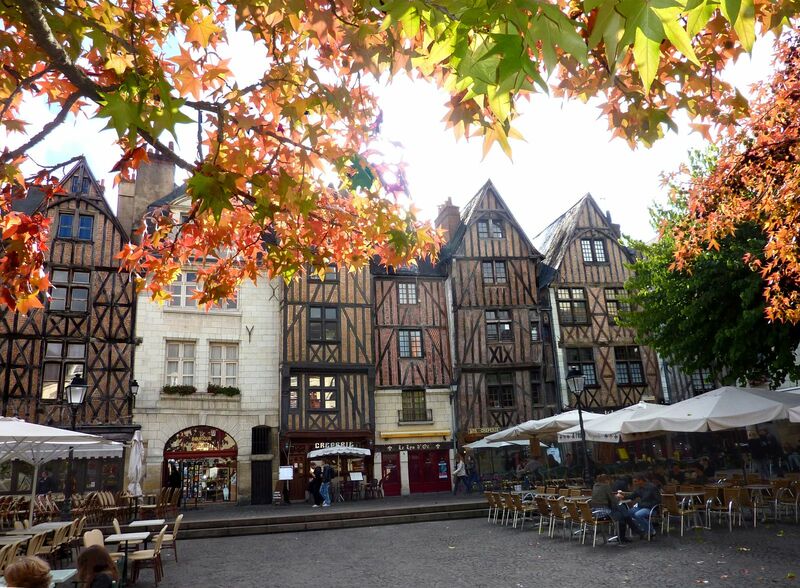 Some of the main things to do in Tours include visiting it’s beautiful castle and cathedral, going to the old town, Place Plumereau, for a drink in a cosy town square and Les Halles which despite not being a pretty building – offer some good products to buy. A top tip for Tours is visiting the Guinguette de Tours by the river in the town for a great meal and a drink at it’s fantastic summertime-only restaurant. Travelling to the Loire Valley by car you have a few more suggestions as well as all the one’s you can visit by train. Here are some ideas for where to visit. 1. The Chenonceau castle is one of the best known châteaux in the area and it’s interior and gardens will not disappoint, you can find more about the visiting information their website. 2. Candes Saint-Martin, is considered one of the most beautiful villages in France, and is registered at the world heritage UNESCO site. Definitely a must see. 3. Saumur is a commune in the the the Loire department and it’s historic town is surrounded by the vineyards of Saumur itself – Chinon, Bourgueil, Coteaux du Layon, which produce some of France’s finest wines. Saumur is home to the Cadre Noir, the National School of Horsemanship, known for its annual horse shows, definitely a sight to see if you get the chance. There is also the national tank museum, the Musée des Blindés, with more than 850 armoured vehicles, for fans of history visiting France. 4. Fontevraud Abbey is a world heritage site that is a complex of religious buildings that have hosted a cultural centre since 1975. It’s a beautiful place to visit and explore the four separate communities which are managed by the same religious abbess. 5. Chinon is a commune in the same area that is well known for its wine, castle, and historic town. Chinon played an important and strategic role during the Middle Ages, having served both French and English kings, full of beauty and rich with culture. 6. House of La Devinière and the Rabelais’ house are just steps from the charming village of Seuilly. It’s where François Rabelais was born and it’s museum invites you to enter the universe of this writer who authored such works as of Gargantua and Pantagruel. It has beautiful caves and the garden is decorated with traditional French vines. 7. Villandry gardens and the Château au Villandry are another fantastic place to visit. The Sun Garden, opened in 2008 attracts visitors all year round and hosts 4 exhibitions. The castle has been completely restored and furnished and has also hosted 4 exhibitions this year. 8. Le Château d’Ussé is a great place to go for a family excursion in France as it is allegedly the basis for the Sleeping Beauty castle. Full of fun and luxury it has something for all the family. It also hosts an exhibition within the castle walls. Reims is a beautiful city in the North-East of France which serves as one of the centres for champagne production in France. A must visit for all those wine and champagne fans visiting France. You can book your journey to travel by train to the beautiful city of Reims through the SNCF website or buy your tickets at the train station in Paris. One of the unmissable things to see in Reims are visiting the amazing cathedral as pictured above, where the Kings of France were once crowned. Full of history and beauty, the original site was constructed on some Roman baths. Full of fine tapestries and interesting stained glass windows, it is nonparallel with high ceilings of 38m! Champagne tasting at the Domaine de Pommery is not to be missed for a deluxe tour and tasting some exquisite champagne. Discover the underground world of Pommery to see their vast cellar galleries as well as their contemporary art! You can find it at 5 place du Général Gouraud, Reims and you can find out more on their website. Why not check out the large, very cool looking food market at Les Halles du Boulingrin, it’s open Friday, Saturday and Wednesday from 5AM-2PM on 50 Rue de Mars. Perfect for gifts or for all your food needs! To have some classic French food while visiting Reims, one of the great restaurants we recommend is L’Alambic – which offers tasty regional dishes! And to drink fantastic wines and champagne head over to Epicerie au Bon Manger on 7 rue Courmeaux. Lille is a lovely city situated in the French-Flanders region in Northern France. Discover it’s rich history and how it played a key role during the World Wars. Also, being very close to the border of France and Belgium it is the perfect hub for discovering Belgium and the many World War sites around it. You can book your journey by train to travel to Lille through the SNCF website or buy your tickets at the train station in Paris. Other than using Lille as a gateway to the North of France and Belgium it is in itself a beautiful city with picturesque city views. The Roman Catholic cathedral in Lille and basilica is a beautiful monument not to be missed and is one of France’s national monuments. While visiting Lille you should go and see the ‘Old Town’ of Lille which is remarkably restored. The 17th century architecture is innovative and is a stunning contrast against the new city. For more information about the Old Town in Lille check out this website. La Capsule is one of the best places in France to get craft beer, so while you’re visiting Lille it’ll be right at your doorstep at 25 Rue des Trois Mollettes. Our top gastronomy tips are to go for a spot of tea at Meert Ladurée on 27 Rue Esquermoise and try a famous gaufre, an incredible Belgian waffle. Or head over to L’estaminet du Welsh and try one of their famous ‘welsh’ meals – definitely an interesting concept. And if you’re looking for somewhere to stay we recommend La Maison du Jardin Vauban and to get the golden room! Le Mont St-Michel is a small island commune in Normandy and is seen as one of the most beautiful, picturesque places not only in France but the entire world. Very popular with tourists and anyone can see why, this is definitely a must visit if you’re taking a few days trip somewhere from Paris. While it’s crowded during the high tourism season in the Summer, we recommend visiting after 7pm for many advantages such as all of the tourist coaches have already left, the boutiques have closed and parking is free – perfect for a quiet view of one of the most beautiful places in the world. During the evenings, the National Center of Monuments has launched ‘night walks’ around the abbey during the Summer where it is lit up until midnight – less people and incredible beauty. Otherwise you can just take a visit round the abbey during the day and a guided tour to the quick sand and the beautiful bay. In all honesty, we don’t recommend eating inside Le Mont St Michel. There is the famous ‘La Mere Poulard’ but we don’t really recommend it due to the incredible expensive prices and the recent reviews of bad customer service! It is very very expensive for a omelette! To eat we recommend going to ‘Le Pré Salé’ on the bay for much tastier food and you could try the famous “agneau de prés salés” or salt meadow lamb, read here to find out more about the dish. ‘La chambre n° 416’ which offers a beautiful terrace with a view over the incredible bay from 217€ per room. You can find out more info on their website here. Or you can stay on the bay at ‘La Villa Madile’ which is a new address with 11 superb rooms, a beautiful sculptured garden with a water fountain and lots of charm! From 75€ a night! Read more about it on their website here. Étretat is a commune in the Normandy region in north-western France. It’s beautiful natural cliffs attract people all year round and their natural arches make for an incredibly pretty view. Everyone loves to be by the seaside and especially when you get these views with the incredibly clear waters! Trying the delicious seafood at ‘La Salamandre’ which is the the oldest restaurant in the city found at 4 Boulevard Président René Coty. And finally an unmissable thing to do is to try the crepes and cider at Crêperie de Lann Bihoué at 45 Rue Notre Dame. Only 1.5 hours away by TGV from Paris and you will get to the magnificent city Nancy! It’s a cute city being the capital of Lorraine that exhibits its role as a center of the early 20th century Art Nouveau movement. In addition to the wonderful collection in the Musee de l’École de Nancy, there are many buildings in that style, some are even open to the public. Its Place Stanislas is entitled a UNESCO site too! You can book your journey your train tickets to Nancy through the SNCF website or buy your tickets at the train station in Paris. Visit Place Stanislas is a highlight; but you should also pay a visit to Musée des Beaux-Arts de Nancy for exceptional fine art pieces and Musée de l’École de Nancy for masterpieces from artists of the Art Nouveau Movement. If you want to experience local music vibes, get your groove moving at L’Envers Club, it’s a gigantic club refurbished from a cave! Have lunch at Brasserie Excelsior to experience the Art Nouveau décor! Another great place for a lovely meal would be at L’Arrosoir near Place Stanislas which has a heart-melting gardening theme and French cuisine of excellent quality. Otherwise, if you love burgers, you must try Voyou for original burgers created with local quality ingredients and regional cheeses!